Happy World Panda Day with Oh K! Here at Oh K! we’re very fond of our furry black and white friends. They are an essential part of who we are with the little face and ears sticking up from the top of most of our face masks. With the hustle and bustle of modern day life, it’s more important than ever to practice self-care. Whether it’s a pampering session with friends, or a quick hydration boost, Oh K! has a range of targeted masks that work wonders to help you achieve ‘happiness every day’. The 16th of March marks World Panda Day and to celebrate, we have adopted 15 pandas on behalf of our friends at Vogue, Stylist, ELLE, Cosmopolitan and LOOK Magazine – to name a few! How to celebrate World Panda Day! 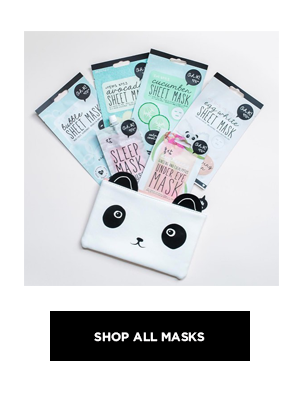 Want to celebrate Panda day with some panda-pampering? Brighten those dark circles with our Oh K! Under Eye Mask containing Ginseng & Eucalyptus! Not only does the eye pads look super cute, but they will get rid of any signs of tiredness and leave you looking fresh. Pop them in the fridge before using and enjoy their soothing effect - all whilst looking like a panda! Don’t forget to spread the love and share a picture using #OhKWorldPandaDay.